This ‘How To Care For Your New Kitten’ article has been written by Muffin & Poppy themselves. This post will be updated regularly to reflect quality as well as best online prices as these are the products we buy ourselves so we recommend you bookmark this page for further reference. 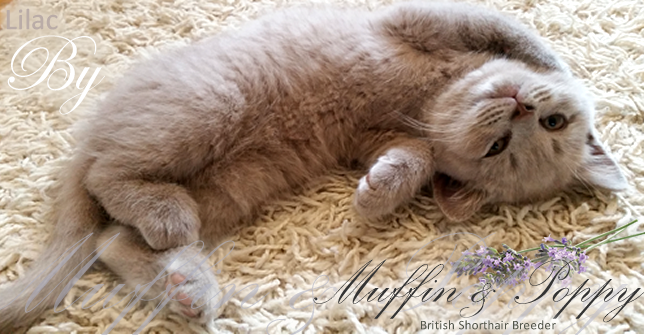 Look no further for great prices as Muffin & Poppy will do the work on behalf of their 5-star homes and families all over the UK as a way to say thank you for giving their kittens loving homes. Please find below some of the products we use. Muffin & Poppy care for their kittens really well, therefore, it is very important for you to follow this guide to ensure your kitten gets the ‘best-est’ care he or she may need. At 13 weeks old your kitten will need at least two meals a day mainly wet food – currently, your kitten loves Felix As Good As It Looks (120 pouches), Felix Kitten (48 pouches) or Felix As Good As It Looks Kitten (48 pouches). Dry food throughout the day for your kitten to snack on. We strongly recommend Royal Canin British Shorthair Kitten or Royal Canin British Shorthair 10 Kg or 4 Kg for your adult cat (older than 1 year). Felix As Good as it Looks wet food for breakfast and dinner. lt is strongly recommended that you do not make any sudden changes to your kitten’s diet in order to prevent a visit to the vet. It is also important for your kitten to have access to plenty of fresh, clean water, preferably in a stainless steel like this or crockery bowl like this one as plastic can cause acne and greasy chins. Finally, do not give your kitten cat or kitten milk- it will give them the runs! Cats do not have enough bacteria in their stomach to break down the lactose it contains. Your kitten is currently using Catsan Smart Pack Litter 4l, 2 Inlays . Your kitten is used to both open top cat litter trays and closed top cat litter trays and is fully litter trained. Litter will need to be changed often as cats do not like dirty litter. We strongly recommend Catsan Smart Pack Litter 4l, 2 Inlays . Your kitten loves to be groomed. We recommend you comb your kitten at least once or twice a week to stop your kitten’s hair from getting knotty and keep it lush. This is a nice kit for both short and long hair kittens. Please ensure your kitten has a scratching post or even a scratching lounge if you would rather have something fancier. We’ve observed that our kittens love doughnut beds. We hope that you will find our kitten guide and recommendations useful, perhaps even bookmark this page. Feel free to comment below and don’t forget to use the links above to buy from as they will be often replaced with the best online deals we can find. We also like buying in bulk in order to make further savings. Above all, we really hope you enjoy the new addition as a house is not a home without a British Shorthair!